I love small sculpture. 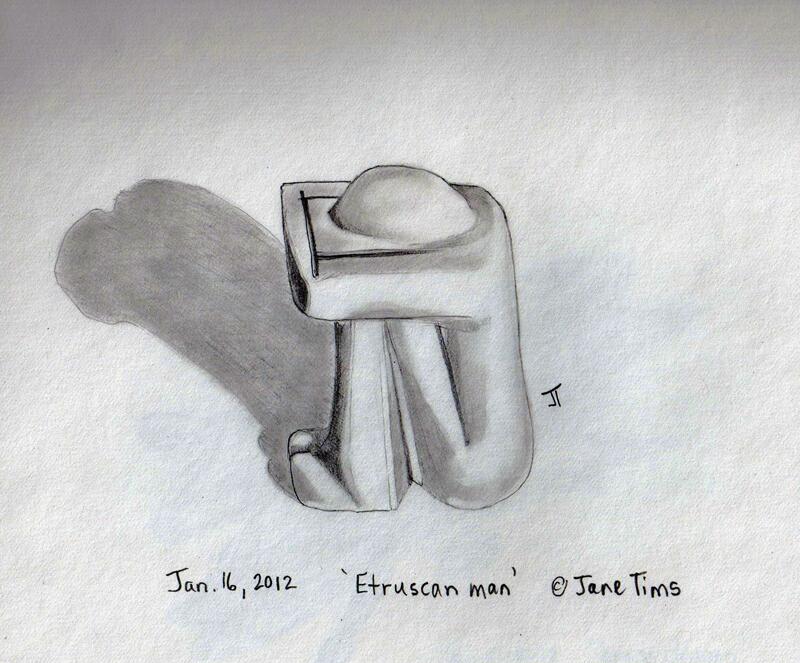 On my eight-day trip to Ontario, one of the things I was inspired to draw was a small stone carving of a man. He was purchased in Greece… the little carving is a modern example of a sculpture done in the Etruscan style. His head is down, resting on his knees, encircled by his arms. He reminds me of the games of hide-and-seek we played as children. For a few moments, the one who is ‘it’ covers his or her eyes and knows only the small space between knees and arms. Then, after counting to ten, the eyes can open and perspective returns to normal. 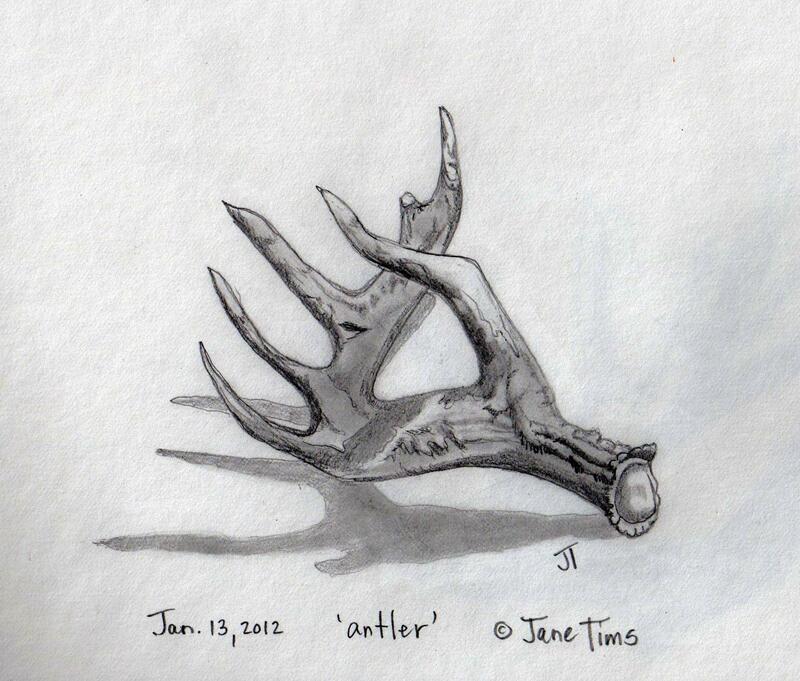 Then it is the task of ‘it’ to hunt down companions who have hidden while he or she counted to ten. Our cabin at the lake is situated at the top of a hill where the wind is always blowing. In summer, this wind keeps the black flies and mosquitos at bay. Any remaining flying insects quickly become the prey of our vigorous dragonfly population. Like mythical dragons, they swoop down and, as sunlight reflects from their transparent wings, cast glints of fire on the landscape. 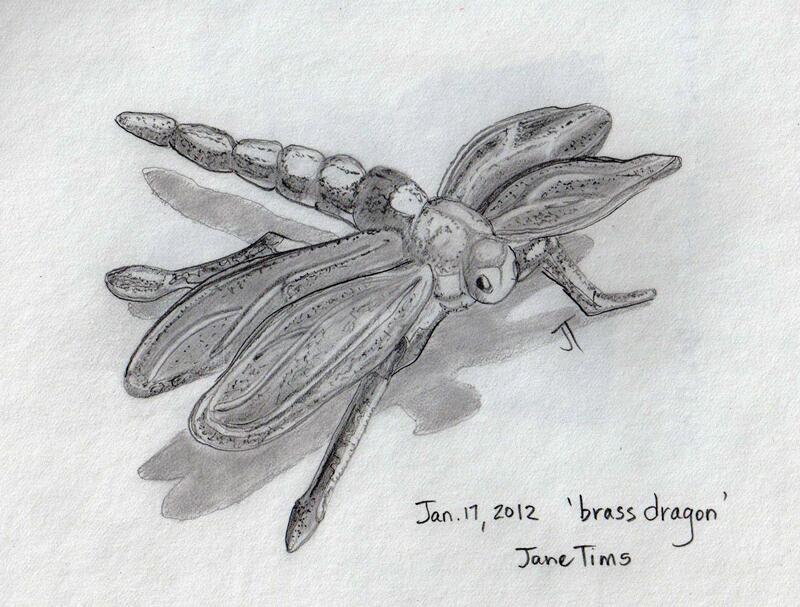 On my recent trip to see family in Ontario, I was reminded of our insect dragons … on the hearth was a small brass dragonfly, contemplating his next fiery foray! 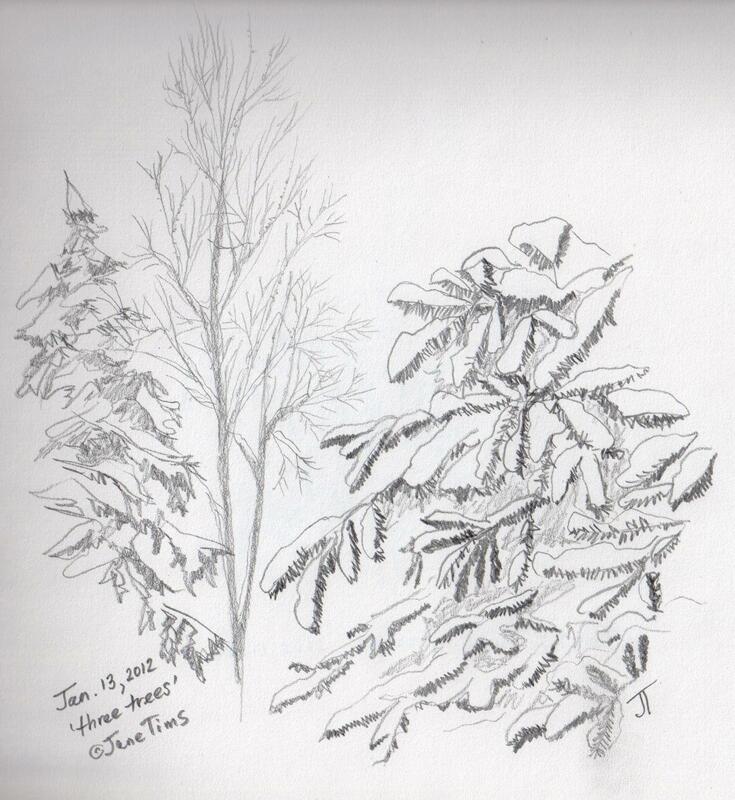 During my eight-day stay in Ontario, the highlight of uncertain weather was an ice storm. The freezing rain fell for hours and coated every surface with a layer of icy glass. 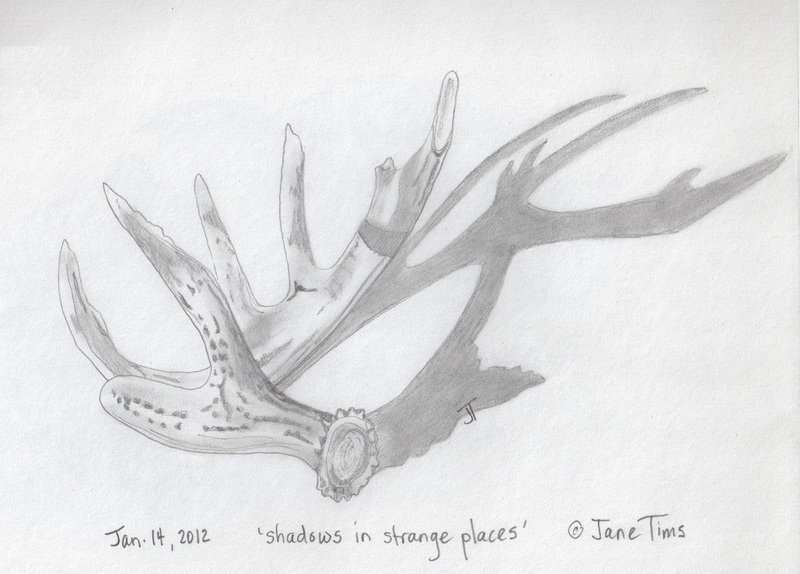 When I was visiting my family in Ontario, my eye was constantly drawn to a window where plants were growing. Suspended above them in the window’s light was a ‘witch ball’. 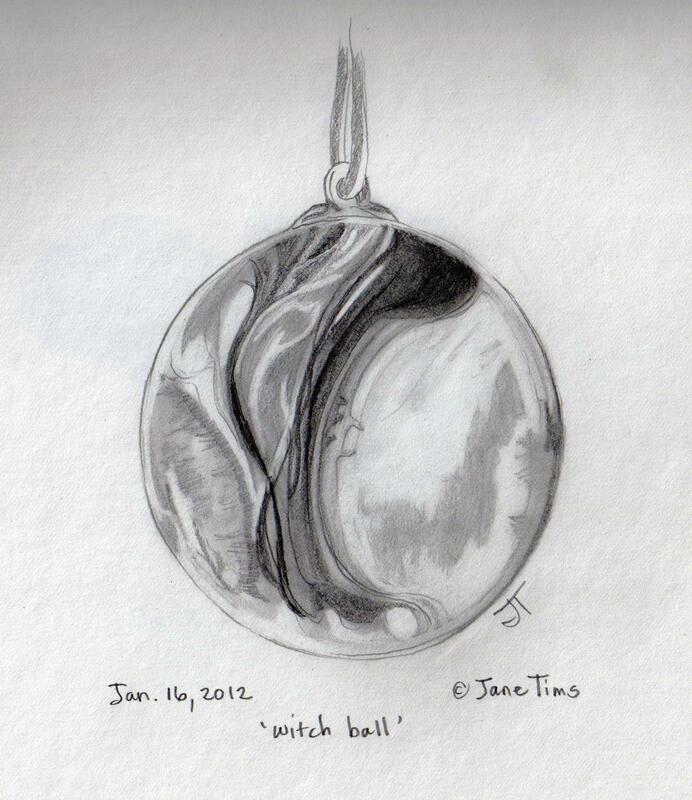 The ‘witch ball’ is a hand-blown glass ball with glass threads in the internal space. The ‘witch ball’ was used in 18th century England to ward off evil spirits. In its modern form, these balls are used for decoration. When the light traverses the glass and enclosed area of the ball, it creates patterns of light and shadow, beautiful and mysterious. During my eight days in Ontario, we had a snow storm whose memorable characteristic was the size of its snowflakes. They were the biggest I’ve ever seen, as big as large marshmallows. Every fluffy snowball must have been the composite of a dozen individual snowflakes. After the storm, the trees were coated with white. 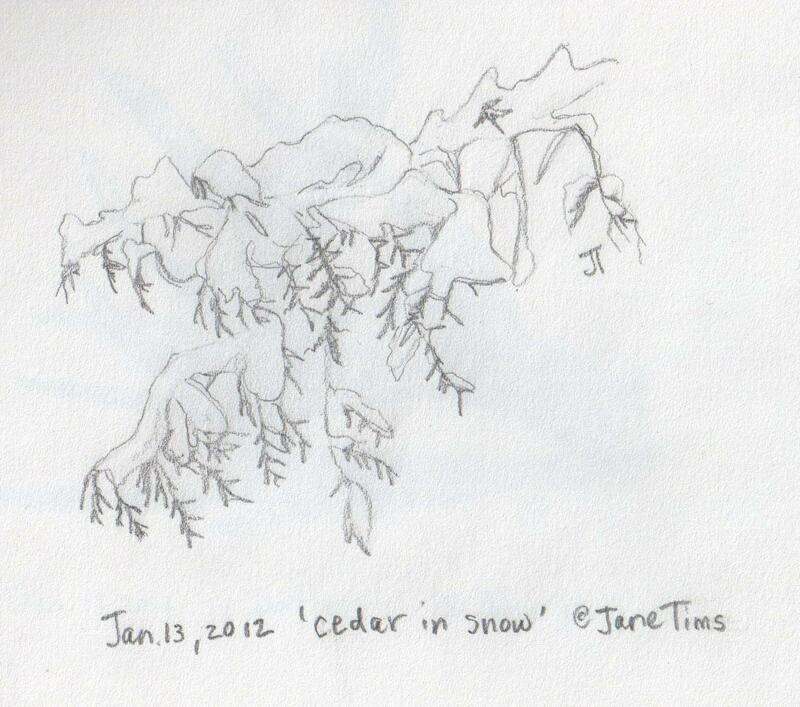 The cedar were particularly beautiful, with their evergreen leaves each hanging beneath a personal burden of snow. In days before plastic and styrofoam, fishermen used glass and wood to make floats to keep their nets buoyant. These floats are colorful symbols of the people who make their livelihood from the sea. In fishing communities in the Maritimes, we often see fences and walls festooned with painted wooden floats and buoys. Glass floats are rarer because they are so breakable. At home, my Dad’s collection of sea shells was always accompanied by a couple of glass floats he found at auctions. On my piano, I have a small collection of glass floats in my favorite color, green. 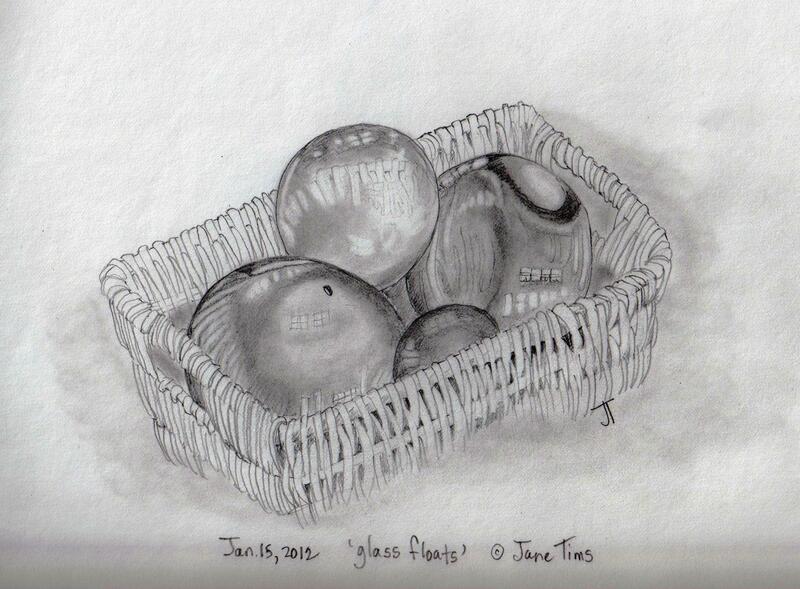 The tradition lives into the next generation… when I visited my family in Ontario for eight days, earlier this month, I was delighted to see a basket of variously-colored glass floats on the hearth of the wood stove.